Marketers of engine oil must obtain a license from API to use the API Engine Oil Quality Marks: the API Service Symbol "Donut" and Certification Mark "Starburst." The use of the API Marks is a marketer's warranty that its licensed oils comply with the requirements set forth in API 1509 and API's Application for Licensure. The use of the marks also identifies the oil marketer as the marketing organization responsible for the integrity of a brand name and the representation of the branded product in the marketplace. Complete product information for the engine oil or oils to be licensed (brand names, viscosity grades, API service categories, and traceability codes for packaged products). Note that API will not allow licensed company names or brand names that contain any reference to API, API Service Categories, SAE viscosities, or any terms that infer API endorsement (for example, the terms “certified,” “approved,” “licensed,” “accredited,” “endorsed,” “qualified,” “verified,” etc. The online system will not permit an invoice to be generated until at least one oil (brand, viscosity grade, service category or categories and formulation data) has been submitted for API review. API reviews applications only after complete payment has been received. 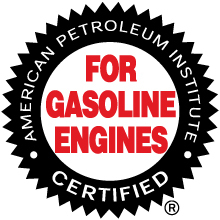 An applicant may not display the API Service Symbol and/or Certification Mark on any engine oil or refer to the oil as API certified, licensed or approved until the applicant has paid the application fee, signed the license agreement certifying that the oil meets API requirements, and received notice from the API online system that the oil has been licensed. To manage an existing EOLCS license, please click the link provided and be sure to update your bookmarks to my.API.org. Please direct any questions or comments regarding licensing to EOLCS@api.org. For help with an EOLCS application or an account, you can download the EOLCS User Guide. The new EOLCS fee structure—effective December 1, 2017—is shown below and can be downloaded. Licensing fees are reviewed annually and are subject to change. At time of annual license renewal, licensee must report volume of API-licensed engine oil sold. API assesses $0.0070 per gallon fee on each gallon reported in excess of 1 million gallons. All API-licensed engine oil brands, whether sold in packages or in bulk, must be counted in the volume reported. 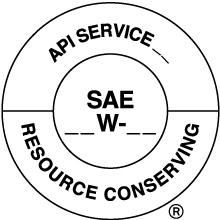 Benefits from API licensing include association with the 2016 campaign; independent verification of the quality of licensed oils sold in the marketplace; listing in the real-time on-line Directory of EOLCS licensees; participation in programs to ensure precision of new tests used to qualify oils; and rights to use the API quality marks (the API Service Symbol Donut and Certification Mark Starburst), symbols of quality that identify licensed engine oils to consumers. This includes using the marks on licensed oil packages, in media, and on promotional materials.